PASADENA, Calif. -- Observations of wind patterns and natural radiation patterns on Mars by NASA's Curiosity rover are helping scientists better understand the environment on the Red Planet's surface. Researchers using the car-sized mobile laboratory have identified transient whirlwinds, mapped winds in relation to slopes, tracked daily and seasonal changes in air pressure, and linked rhythmic changes in radiation to daily atmospheric changes. 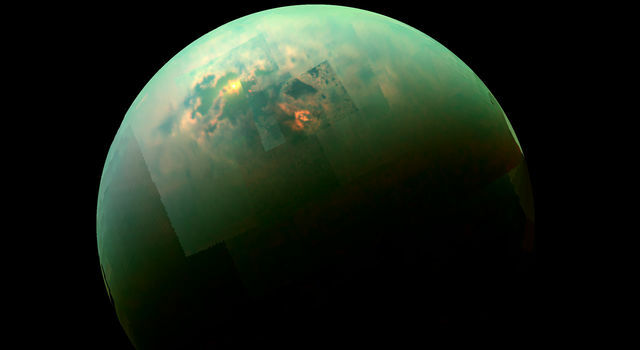 The knowledge being gained about these processes helps scientists interpret evidence about environmental changes on Mars that might have led to conditions favorable for life. During the first 12 weeks after Curiosity landed in an area named Gale Crater, an international team of researchers analyzed data from more than 20 atmospheric events with at least one characteristic of a whirlwind recorded by the Rover Environmental Monitoring Station (REMS) instrument. 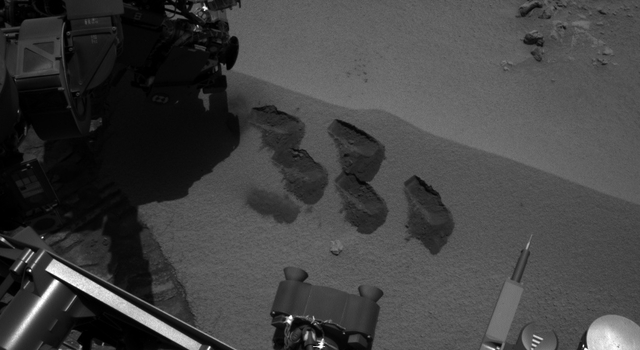 Those characteristics can include a brief dip in air pressure, a change in wind direction, a change in wind speed, a rise in air temperature or a dip in ultraviolet light reaching the rover. Two of the events included all five characteristics. In many regions of Mars, dust-devil tracks and shadows have been seen from orbit, but those visual clues have not been seen in Gale Crater. One possibility is that vortex whirlwinds arise at Gale without lifting as much dust as they do elsewhere. "Dust in the atmosphere has a major role in shaping the climate on Mars," said Manuel de la Torre Juarez of NASA's Jet Propulsion Laboratory in Pasadena, Calif. He is the investigation scientist for REMS, which Spain provided for the mission. "The dust lifted by dust devils and dust storms warms the atmosphere." Dominant wind direction identified by REMS has surprised some researchers who expected slope effects to produce north-south winds. The rover is just north of a mountain called Mount Sharp. If air movement up and down the mountain's slope governed wind direction, dominant winds generally would be north-south. However, east-west winds appear to predominate. The rim of Gale Crater may be a factor. "With the crater rim slope to the north and Mount Sharp to the south, we may be seeing more of the wind blowing along the depression in between the two slopes, rather than up and down the slope of Mount Sharp," said Claire Newman, a REMS investigator at Ashima Research in Pasadena. 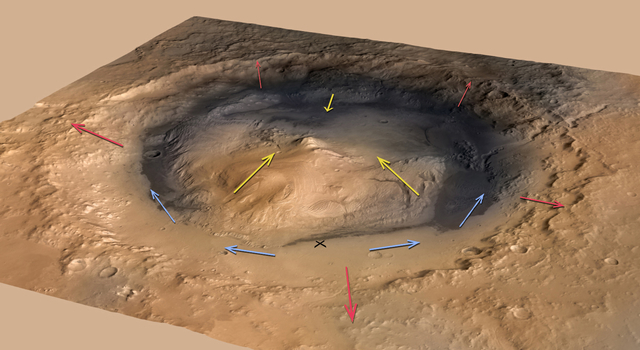 "If we don't see a change in wind patterns as Curiosity heads up the slope of Mount Sharp -- that would be a surprise." 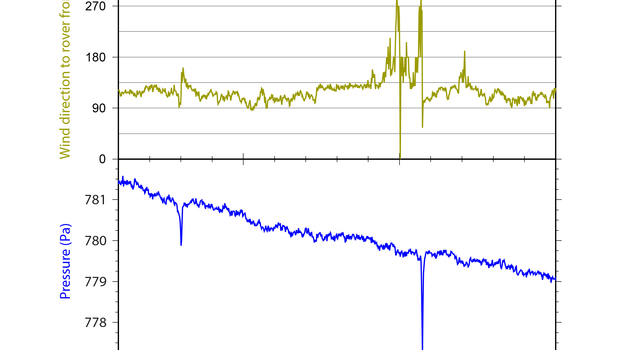 REMS monitoring of air pressure has tracked both a seasonal increase and a daily rhythm. 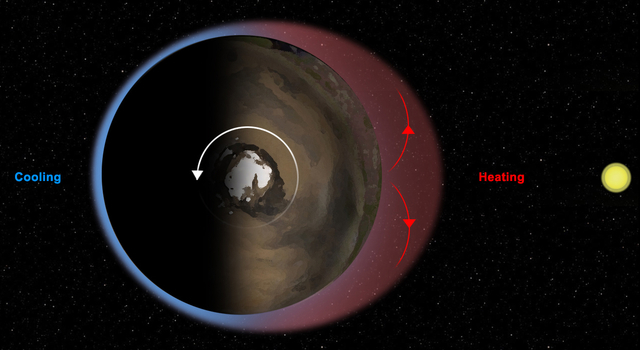 Neither was unexpected, but the details improve understanding of atmospheric cycles on present-day Mars, which helps with estimating how the cycles may have operated in the past. The seasonal increase results from tons of carbon dioxide, which had been frozen into a southern winter ice cap, returning into the atmosphere as southern spring turns to summer. 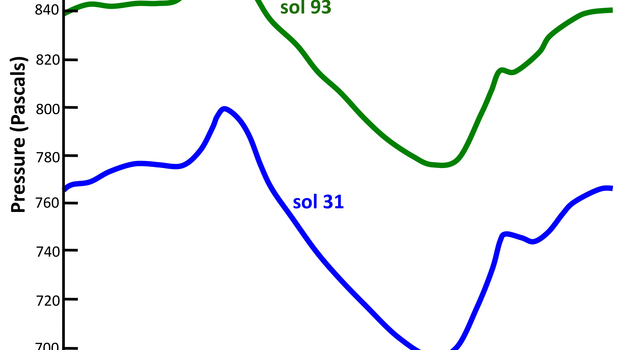 The daily cycle of higher pressure in the morning and lower pressure in the evening results from daytime heating of the atmosphere by the sun. As morning works its way westward around the planet, so does a wave of heat-expanded atmosphere, known as a thermal tide. 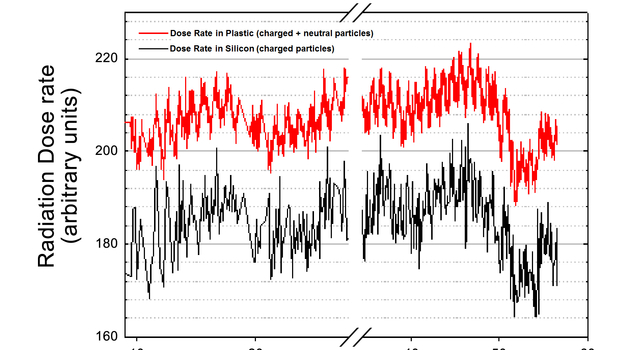 Effects of that atmospheric tide show up in data from Curiosity's Radiation Assessment Detector (RAD). This instrument monitors high-energy radiation considered to be a health risk to astronauts and a factor in whether microbes could survive on Mars' surface. 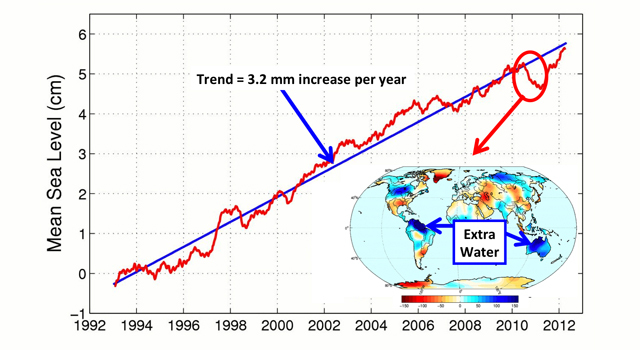 "We see a definite pattern related to the daily thermal tides of the atmosphere," said RAD Principal Investigator Don Hassler of the Southwest Research Institute's Boulder, Colo., branch. 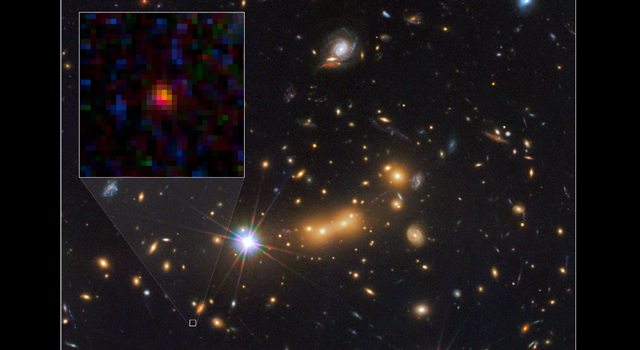 "The atmosphere provides a level of shielding, and so charged-particle radiation is less when the atmosphere is thicker. 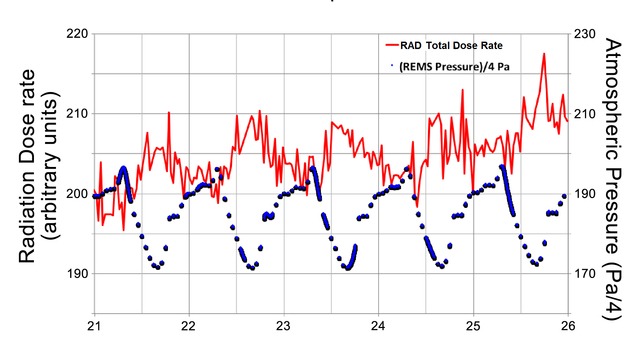 Overall, Mars' atmosphere reduces the radiation dose compared to what we saw during the flight to Mars." The overall goal of NASA's Mars Science Laboratory mission is to use 10 instruments on Curiosity to assess whether areas inside Gale Crater ever offered a habitable environment for microbes. 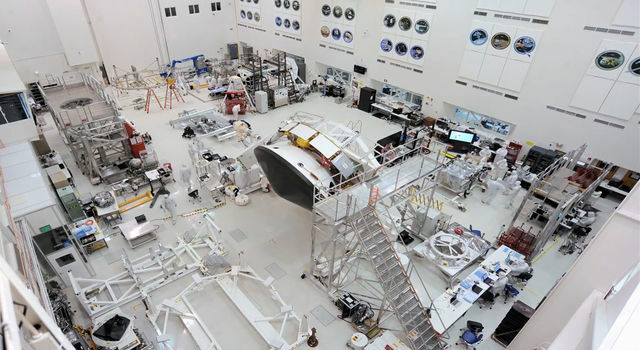 JPL, a division of the California Institute of Technology in Pasadena, manages the project for NASA's Science Mission Directorate, Washington, and built Curiosity. 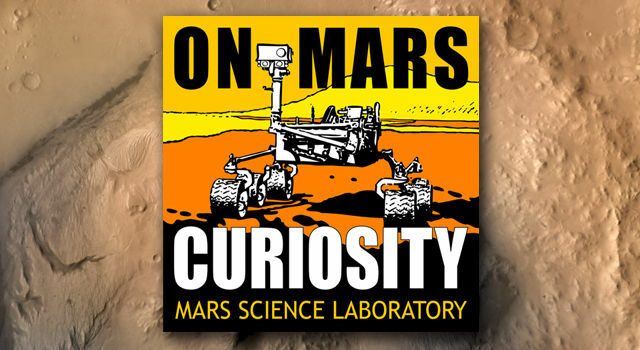 For more information about Curiosity and its mission, visit: http://www.jpl.nasa.gov/msl , http://www.nasa.gov/msl and http://mars.jpl.nasa.gov/msl .